Note on shipping: Please note that there will be a temporary delay in shipping. Shipping will resume sometime after April 20, 2019. This does not affect ordering - you can place your order and it will ship at that later time. Feel free to email with any questions. 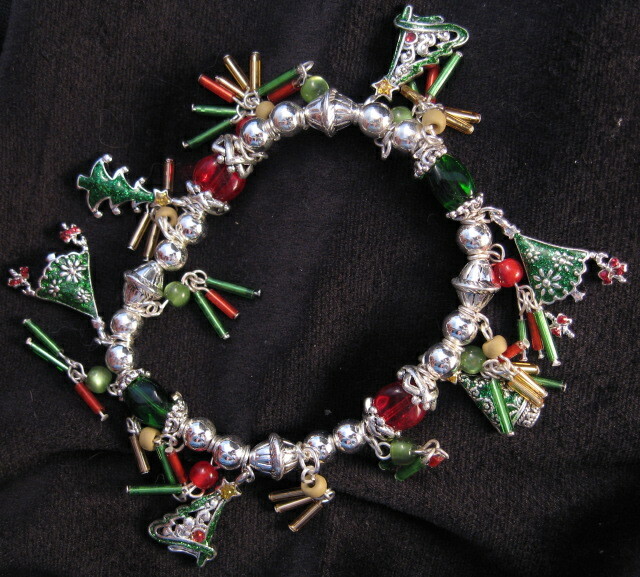 Holiday Painted Bead Strand Stretch Bracelet. 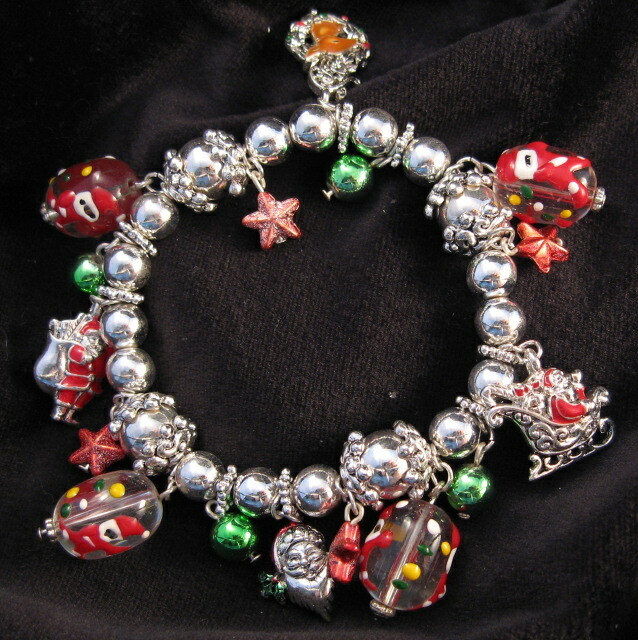 Silver and green beads, red stars, painted dangle beads, and santa charms. 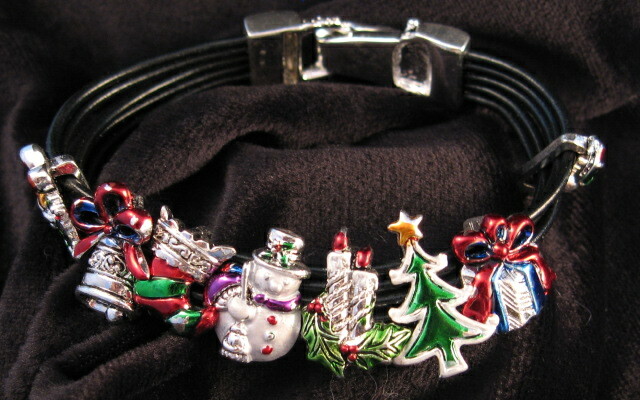 This product was added to our catalog on Wednesday 05 November, 2008.